If you are considering pursuing your bachelor's degree in pharmaceutical science, then you are well on your way to a fulfilling career path. First, you will need to obtain your high school diploma (or the equivalent) and earn a satisfactory score on your ACT exam. In order to be prepared for college level course work in this degree program, it is a good idea to take as many math and science classes as possible at the high school level. Furthermore, while some colleges and universities will accept students who are fresh out of high school, many schools will not. If the college that you plan to attend will not allow you admittance right out of high school, you may be required to complete a pre-pharmaceutical course curriculum. For most colleges, this curriculum requires completion of courses like physics, calculus, biology, and chemistry. 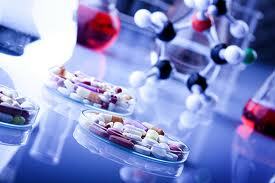 A degree in pharmaceutical science will have you studying every branch of pharmaceutical science. This includes medical chemistry, pharmacology, pharmaceutical science, and pharmaceutical toxicology. Dependent upon the college or university that you choose to attend, it may be recommended that you choose an area of emphasis. It is common for students in this degree program to focus their studies in pharmacology or pharmaceutical analytical chemistry. While the majority of the course work that this four year degree requires takes place in a classroom setting, there are some classes that will have you working in a laboratory setting. This will allow you the chance to apply what you have been learning while in the classroom. Although you will be extensively learning how drugs are created, this degree program will not allow you to practice as a pharmacist. The course work that is required by this degree program consists of mostly science classes; the majority of these sciences are in the area of biology and chemistry. Some of the courses that you will probably be required to complete are biochemistry, physiology and anatomy, biopharmaceutics, technical writing, pharmaceutical manufacturing, and quality control. As you near completion of your degree program you will probably want to complete an internship. While some colleges and universities require this of their students, many learning institutions do not mandate this. However, an internship will provide you with a great opportunity to put your knowledge and skills to work in a real world setting. Potential employers will also view this as you being capable of functioning in the work place on an adequate level. Upon completion of your program you will be able to seek employment in the areas of: drug analysis and development, dosage forms and drug delivery systems, drug testing, sales and marketing, and pharmaceutical economics. Of course, this is not an exclusive list of job positions that your degree will make available to you. After you have gained some work experience, you may also want to obtain your certification through the National Registry of Microbiologists. Of course, should you decide to further your level of education you will have additional job opportunities available to you. When you enroll in your Bachelor’s degree in pharmaceutical science be prepared to take a lot of courses related to match calculations and biology/chemistry. Your Bachelor’s degree in pharmaceutical science is the perfect degree for those who wish to further their education and become a pharmacists, biologist, dentist or veterinarian. - Provide the proper education to successfully receive a career in pharmaceutical science. - Be able to improve the manufacturing process. - Have great communication skills and be able to communicate effectively using critical thinking skills. - Learn how to conduct research independently. - Develop methodological and skills to serve the health industry. - Design new drugs as well as use existing drugs to treat different types of disease.